Trader of fire detection systems, design extinguishers, systems for fire vehicles, gas extinguishing systems and powder extinguishing systems. And also offering emergency planning services. By providing comprehensive planning and services, Minimax can cope with all conditions in order to minimize any damage in the event of fire. After inspection of the building, the terrain or the construction plans, our specialists will prepare fire protection concepts tailored to your individual needs. 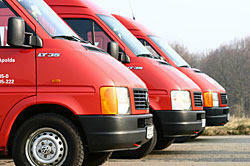 They also provide maintenance of the systems and take care of the necessary preventive measures. An effective protection concept may succeed or fail depending largely on the level of professional consulting and planning. Minimax fire protection specialists survey the building, the terrain or the construction plans at the site itself. They identify any deficiencies in respect of fire protection and then prepare appropriately tailored fire protection conceptual designs. So it's not only the product quality that's correct. In the event of fire any damage must be minimized as far as possible. Fire protection systems must remain fully functional even after many years of operational readiness without use. That's why the Minimax complete service offers far more than the mere manufacture and installation of fire protection systems: we offer a fully comprehensive service. Regular checks are a fundamental prerequisite, so that not only the functioning of your fire protection systems is guaranteed, but also to maintain your insurance cover at all times. Our service ensures proper and punctual checks on firewater extinguishing systems, gaseous extinguishing systems, kitchen protection systems, fire alarm systems and fire extinguishers of all types, as well as firewater system engineering and smoke and heat extraction systems. The fire protection systems entrusted to us are especially carefully inspected, maintained and, in the event of malfunction, repaired by our own trained personnel. New to the Fire Protection Academy´s offer are experience events relating to fire & extinguishing: a raw, unadulterated experience! Minimax designs bespoke programmes at customer request. The 2,500 square metre new fire research centre has been established approximately 14 kilometres from the Minimax Mobile Services head office in Bad Urach. The spacious premises were converted into the fire research centre pursuant special legal requirements and offers ample room for exciting activities: Whether it is automobiles or stacks of wood that are set afire, demonstrations of metal blazes or grease explosions or even extinguishing a burning person (naturally using a dummy) the fire research centre´s excellent and above all environmentally friendly installations make all these scenarios possible – plus many more. 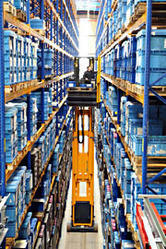 In recent years, logistics services have become increasingly important for the success of businesses and have expanded continuously. This is due to the globalization of the markets and supply chains, the evolution from a production-oriented to a service-oriented society, the continuous decrease of product life cycles and the integration of information and communication technology into the process chain. Today, logistics comprises the process of planning, implementation and control of the effective flow and storage of goods and products and the related information from the point of delivery to the point of receipt in accordance with the requirements of customers. “Just in time” depends on the absence of hitches throughout the entire process chain. Adequate fire protection concepts from structural fire protection and fire detection systems, stationary, automatic fire extinguishing and special extinguishing systems to mobile fire protection for the manual initial offensive are indispensable in the protection of people and property. The more there is of this coming from one source, the less interfaces there are, and hence installation and operation run perfectly smoothly – to provide optimum security in warehouses and logistics centers. There is a very high risk of damages to parked vehicles and technical equipment in automatic parking systems: the close position of the vehicles favours an extremely fast fire spreading. 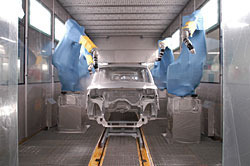 Fast responding release elements are therefore the most important components of a reliable protection concept. Our Minifog fine water spray systems help limiting the fire to one vehicle and thus prevent larger damages. The close arrangement of the fine spray sprinklers facilitates purposeful extinguishing, significantly increases the extinguishing efficiency and provides a faster, environmentally friendly fire fighting while using only a small amount of extinguishing water. This also means less space requirement for the water supply. Modern painting technologies with a high degree of automation inevitable lead to special risks. Ignition initials must already be detected in the burgeoning phase and suffocated immediately. Our proven special extinguishing systems have an extremely fast response time: acute fire risks are detected automatically and burgeoning fires are purposeful fought in several steps according to their burning down speed. In case of an alarm the fire detection control panel records and checks the signals given by the detectors, relays a fire alarm and releases the preprogammed control functions - e.g. to interrupt the powder, colour, air and solvent supply, to switch off high voltage, machines and venting equipment, to close fire-proof doors and ventilation flaps and to activate the alarm organisation (local alarm sounding, alarm relaying etc.). The gas extinguishing system is released automatically and suffocates the fire in its initial phase. 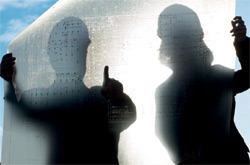 The safe operation of the system technology is vital for all operators of telecommunication and EDP facilities. 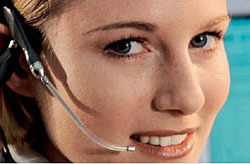 Troublefree operation ensures satisfied clients and particularly in this branch it is the centre of attention. Therefore a breakdown normally has far-reaching consequences. Minimax has realized the problem and provides optimal fire protection solutions for the entire infrastructure of telecommunication networks, both in the mobile and the fixed net area. In case of fire electrical devices must be switched off reliably without loosing any data and the extinguishing process must be started immediately. Our multifunctional detectors or Helios fire detectors detect fires immediately and our special extinguishing systems extinguish even the most sensitive devices with care and without leaving any residues. Thus, a larger damage can be avoided. By the way, like for the operator false trippings are unacceptable to us as well. Thus, it is even more important that in this case the fire protection is not considered as a standalone solution, but to include it in higher-level safety and control systems. Therefore interface and system management are of primary importance and we are looking forward to helping you in this area. How may a fire in the system occur at all? Surge voltage, induction, short circuit, sabotage, vandalism, operator error or simply the negligent handling of electrical equipment - there are many fire risks. Ships and offshore facilities such as oil platforms require a higher-than-average level of safety due to the special conditions prevailing at sea. In most cases people can not quickly escape in case of fire and immediate fire fighting help from outside can not be expected. Apart from many fire risks, panic and a disabled manoeuvrability are further typical sources of danger after a fire, which must be taken into consideration when choosing an extinguishing system. Minifog marine takes this into account by providing protection concepts developed and approved in accordance with the safety regulations of national authorities and international classification societies and in compliance with the recommendations of SOLAS and IMO. A highly efficient type of high-pressure watermist technology has been specially tailored to the protection of accommodations and public areas, as well as to the protection of objects in engine rooms on board ships. In Addition an equally valuable and proven low-pressure system is available for the protection of objects in engine rooms in accordance to current legislation. With the use of the Minifog marine XP water mist extinguishing system the demand for minimising its need for space and weight on ships is satisfied to an extremely high degree. Compared with classic sprinkler systems Minifog marine XP requires up to 90 percent less extinguishing water in the event of fire. Due to this extremely low need for extinguishing water, the system’s piping and water supply are small and easily laid out. The efficient extinguishing system can be deployed in all areas - whether cabins, corridors or in the engine room - and with one single sprinkler it has an area of coverage of up to 32 square metres. 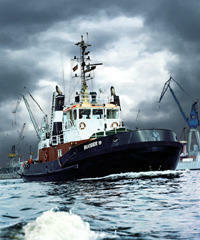 The professional installation and commissioning of Minifog marine XP rounds out the Minimax services portfolio. Areas that deserve special attention include rooms with electrical and electronic devices, such as control rooms, control cabinets and smaller machine rooms on ships. In such risk areas, extinguishing systems which put out fires quickly yet carefully are essential, in order to ensure that sensitive equipment is not damaged by residues left by the extinguishing agent. With the MX 1230 Marine and MX 200 Marine clean agent fire suppression system, Minimax has developed solutions which meet the demanding requirements on board a ship. For instance, the fire suppression systems can even be dimensioned with 50-bar system pressure. The systems are distinguished through the presence of the authorised and tested chemical suppressors NovecTM 1230 and HFC-227ea: neither fire suppressor is corrosive or electrically conductive, or causes any damage to sensitive parts through short circuits or residues. The MX 1230 Marine and MX 200 Marine clean agent fire suppression systems are available for tugboats, coast and inland navigation vessels and small yachts, in addition to drilling rigs. The size of the room to be protected is a key focus for both systems. As a result, they offer optimal fire protection in smaller rooms, and are fully certified with all major marinesector approvals. Balconies on ships are a fire risk - and modern cruise liners need reliable protection. A fire, spreading via plastic furniture and partitions, aluminium structures and other materials, can quickly assume devastating proportions, as demonstrated by the conflagration on one of the world's biggest liners in March 2006. Fatalities, damage running in millions, and an almost incalculable loss of image by the shipping company - such can be the consequences. Minimax has developed the first fire protection solution for ship balconies which reliably extinguishes a balcony fire and also prevents it from spreading. The balcony remains protected, even in the event of a cabin fire and if the sprinkler system fails. The system prevents flames from spreading from the balcony into the cabin, even when the outside door is open. The IMO Res. A 800 (19) sprinkler test standards were used as a basis when the new system was tested at the Minimax Fire Protection Research Centre. At sea, safety requirements for ships are of the utmost importance. This also applies to fire protection measures. After all, in the event of fire, rapid escape is usually impossible and the prompt arrival of help from outside cannot be expected. In light of the various types of fire risks which exist on board ships, specific solutions are necessary for the space or object to be protected in order to ensure optimal fire protection on board.Areas that deserve special attention include rooms with electrical and electronic devices, such as control rooms, control cabinets and smaller machine rooms on ships. In such risk areas, extinguishing systems which put out fires quickly yet carefully are essential, in order to ensure that sensitive equipment is not damaged by residues left by the extinguishing agent. With the MX 1230 Marine and MX 200 Marine clean agent fire suppression system, Minimax has developed solutions which meet the demanding requirements on board a ship. 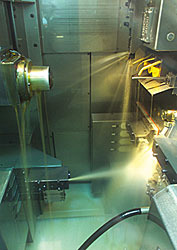 For instance, the fire suppression systems can even be dimensioned with 50-bar system pressure.The systems are distinguished through the presence of the authorised and tested chemical suppressors NovecTM 1230 and HFC-227ea: neither fire suppressor is corrosive or electrically conductive, or causes any damage to sensitive parts through short circuits or residues. The MX 1230 Marine and MX 200 Marine clean agent fire suppression systems are available for tugboats, coast and inland navigation vessels and small yachts, in addition to drilling rigs. The size of the room to be protected is a key focus for both systems. As a result, they offer optimal fire protection in smaller rooms, and are fully certified with all major marinesector approvals. Components with a high magnesium content are of increasing importance in the industrial serial production. The cutting of magnesium alloys includes acute fire risks because magnesium dusts and chips are classified as "easily flammable or self-ignitable". As these risks cannot be completely excluded, the machines must be equipped with fire protection systems according to the place of employment regulation and the law on technical working equipment (device safety law/EU machine directive 89/392/EWG). 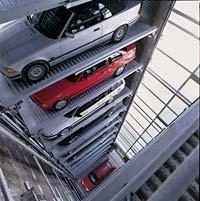 You will find the right solution at Minimax - the Argotec fire extinguishing system. It extinguishes with inert gases or alternatively with the noble gas argon, nitrogen or carbon dioxide. A fire detection system is connected in series. Even if CO2 is used there is normally no harmful concentration outside the machine due to the small amount of extinguish ant used for large extinguishing areas. 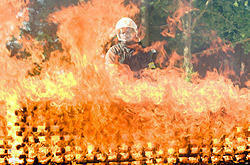 Only the extinguishant storage must be replenished after extinguishing. Afterwards the extinguishing system is available again immediately. Sensitive areas such as airports present particular challenges in terms of safety for persons and materials - day after day, round the clock People who, in terms of fire protection want to eliminate vulnerable points from the very beginning, should not leave any room for experimentation. Minimax is a competent partner for you as early as the design phase. Not only where the task is to comply with technical regulations on fire protection and with current safety requirements but - and especially - where special solutions are called for. After all Minimax operates one of the most modern fire research centres in Europe, the company is familiar with project-specific research and development work and it can provide customers with qualified engineers who are competent advisors. 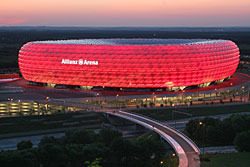 The full programme is available for developing tailor-made solutions - from foam-, inert gas- and sprinkler-systems through structural fire protection measures and on up to fire extinguishers - all rounded off by a large number of special extinguishing systems and equipment, and by project-related production and manufacturing. Again and again, devastating fires destroy historic buildings and cultural assets which are of inestimable worth. Their irretrievable loss makes it clear that many places still do not have adequate fire protection. 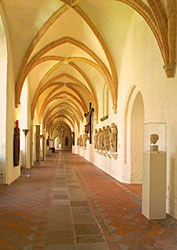 Works of art, paintings, archives and historic artifacts all have one thing in common: They are unique objects of irreplaceable value. If they are lost then no insurance in the world can replace them. They need particular protection, simply because they cannot be replaced. Fire protection and the care and preservation of listed buildings are not contradictory terms: instead, fire protection can make a positive contribution to the care of listed monuments. Combining professional fire protection with high requirements in terms of esthetics and the preservation of historic monuments is usually less easy than it may seem - even when retrofitting existing buildings. In the event of a fire, it can take the fire services some time to force their way forward to the source of the fire, and fighting the fire usually involves the use of high volumes of water. For this reason, the protection of cultural assets calls for technical fire protection facilities which can detect a fire and fight it whilst it is still in the initial phase. Minimax has available a unique range of fire protection products and equipment and so is able to offer tailor-made fire protection solutions for each individual application, from a single source. Laboratories present fire protection systems with special and particularly demanding requirements: even if a fire does break out the strictly regulated pressure relationships must be maintained, since they are designed to protect the exterior surroundings and the environment; and of course all the expensive, sensitive installations have to be protected from damage. 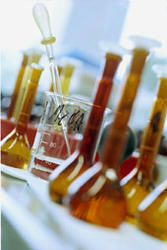 Not a simple task, which is why up till now efficient fire protection usually stopped at the laboratory door. With 'Argotec CleanLab', the new type of gas extinguishing system, Minimax can now provide optimum safety. This solution fulfils all requirements placed on the fire detection system without having to make any compromises. The company has added the extinguishing gases nitrogen and argon to its Argotec extinguishing system, special components which allow it to be used in rooms with a specified negative pressure. When the system is activated, either manually or by means of a fire detector, a fire detection and extinguishing control unit takes over control. One particular feature here: differential pressure measurement is used to control the room ventilation so that the preset room pressure is maintained. The new Argotec CleanLab system is able to build up and maintain a concentration of gas sufficient to put out a fire, even with the ventilation still running. This allows the fire to be extinguished efficiently but without destroying the pressure difference or leaving residues of extinguishing agent to damage the room. The effectiveness of this solution is clear: In sensitive laboratories work in progress is much less affected by the fire incident -work can begin again after only a brief period of time. The low down-times, rapid approval procedures and the solid protection of high-tech investments all speak out in favour of Argotec CleanLab. 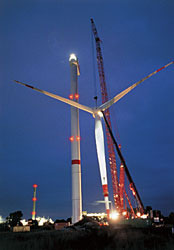 In recent years the use of wind energy has become established. It is a technology which has high growth rates and good prospects for the future. Simple rotors have become more and more powerful high-tech power stations. Nowadays the design of new performance classes plus their offshore locations require a high level of investment - and the protection of the investment against interruptions in operation and even total loss. Up till now manufacturer, operator and fire brigades have been helpless when dealing with the risk of a fire. The nacelle, the heart of a wind energy facility contains generators, gears, brakes, switch cabinets, transformers and converters, and so represents a specially high fire risk. If a fire should break out as the result of overheating of components, electrical faults or a lightning strike, then the fire will find plenty of combustible material in the form of mineral oils, lubricants, plastics and electronic components. The exposed location of the nacelle restricts fire departments' attempts at fighting the fire; the usual approach is therefore the controlled, complete burn out. And with offshore facilities any outside help would in any event arrive too late. Minimax has worked with proven and tested components to develop effective protective solutions for wind turbines - both for retrofitting in existing towers and for installation in new facilities. The solutions can detect a developing fire, arrange for rapid automatic extinguishing and thus allow damage and interruptions to operation to be kept to a minimum. Our competent engineers are ready to help you with advice in the decision as to which of the protective concepts developed by Minimax will be the best for your wind turbine. In the foreground of fire protection in the hospital is protecting people. However, damage to medical equipment can also quickly mount up to millions. Entire stations can be out of operation for months, not to mention damage to the institution’s image. Minimax offers efficient fire protection solutions, which prevent personal injury and property damages. With a Minifog EconAqua water mist extinguishing system nearly all of a modern clinic’s station points are optimally protected: inspection areas, nurse and sickrooms, waiting rooms, restaurants and escape routes. The innovative low-pressure, fine mist technology distinguishes itself through a minimal demand for water. Compared to classic sprinkler systems up to 85 percent less extinguishing water is used with Minifog EconAqua water mist extinguishing systems! Sensitive technical equipment thereby sustains no serious damage during extinguishing and is generally quickly ready for service again. 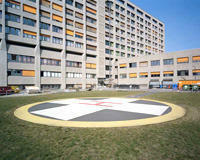 However, it is not only hospital interiors that are at major risk of fire hazards. Landing rescue helicopters can easily catch on fire due to a technical defect. 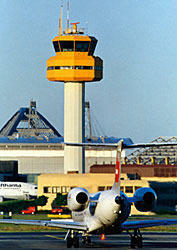 Foam monitors are the most effective fire protection solution for helicopter landing pads. In contrast to pure water, foam is excellently suited for extinguishing burning liquids, such as kerosene, and guarantees rapid extinguishing. Adequate fire protection concepts from structural fire protection and fire detection systems, stationary, automatic fire extinguishing and special extinguishing systems to mobile fire protection for the manual initial offensive are indispensable in the protection of people and property. The more there is of this coming from one source, the less interfaces there are, and hence installation and operation run perfectly smoothly – to provide optimum security in hospitals. In addition messages from separate devices like heating, ventilation, air condition, elevator, building monitoring and intruder detection systems can be received - an additional advantage for Minimax clients. Get in touch with us - we have the right fire protection solution for you too! Printing businesses, where all the company process are designed to provide customers with a dependable supply at every time, cannot afford to compromise when it comes to fire protection. 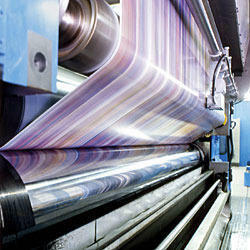 Whether offset printing machines, letter presses, gravure printing presses, silk screen printing machines - if the first signs of a combustion in the production process are not spotted as soon as they develop then devastating fires may be the result. Cover can be taken out to insure against interruptions to operations but there is no replacement for loss of customers and market share. The protection of people and plant therefore means that the use of special fire protection systems is essential, systems which are precisely tailor-made for the process technology concerned. The centre of the fire protection concept for printing machines is a rapid reaction fire extinguishing system which can independently identify acute fire risks and which uses argon or carbon dioxide to fight a developing fire. While carrying out the extinguishing process it also initiates important control pulses e.g. to interrupt the supply of colouring or material, stop machinery, switch off drying facilities and activate the alarm organisation.